Some Apex Legends players have undoubtedly become decent at surviving till the end of a match and becoming the champion by now, but there are several tips players might not be aware of that’ll help them be the last squad standing. Respawn Entertainment’s tutorial does a fair job of introducing players to the game’s mechanics like reviving teammates and sliding downhill to move around quicker, but there are several other tactics and tricks which are left up to players to discover on their own or through others’ knowledge. Some tips even pop up in game like when players get caught outside the circle and the game tells them to holster their weapons and run faster, but if you’re finding that you’ve already mastered those tips, these pieces of advice – some of which come straight from the developers themselves – should keep players alive long enough to level up quicker and unlock more Legends. If this wasn’t made clear in the game’s tutorial, it’s worth repeating here: Using Apex Legends’s well-rounded ping system is imperative when it comes to winning whether you’re playing with voice chat on or not. Respawn’s robust ping system lets players interact with just about anything that could lead to meaningful information for a squad. If you need more ammo, highlight your gun in your inventory and ping it. If you’re playing as Bloodhound and see an enemy’s tracks with your passive, ping that too to let your team know someone’s been through the path you’re on. If you see a respawn dropship flying in overhead, ping that so your team will know that an enemy is dropping in so you can get the jump on them before they pick up more equipment. 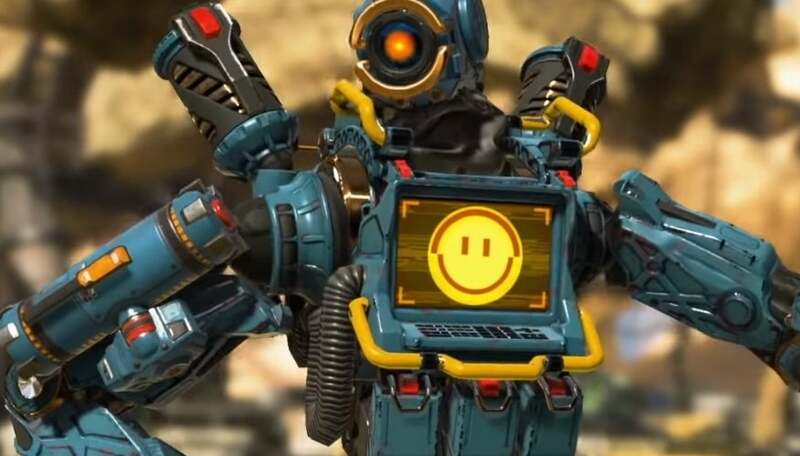 Even if you’re using voice comms to speak to teammates, the pings provide exact pinpoints for what you want to show them, so there’s no reason not to utilize one of Apex Legends’ best mechanics. As more players start unlocking Caustic, clips like the one above have become more common where doors are blocked using the Legends’ gas traps. Caustic’s traps can be shot at the base to destroy them, but if you ever find yourself unable to target them because a door’s in your way, all you have to do is break it down. Using a melee attack on a door will bash it open but will still leave it usable. A second hit, however, will send the door flying off its hinges to leave an open doorway for players to move and shoot through. Explosive devices also blow the doors apart, so if a Caustic is being cheeky with his gas traps, there’s an easy way to escape them assuming you remember this trick. Knowing that doors can be destroyed is also useful in games of cat and mouse when trying to finish off a downed opponent. Players can still open and shut doors while they’re downed which means a players can slam a door in your face repeatedly if you’re trying to get to them. They can even block the door with their body while a teammate revives them, but if you kick the door down, they’ll have one less trick to use. It’s surprising how many players leave behind equipment such as the Arc Stars and Ultimate Accelerants when they’re sifting through loot containers. You might not be able to make your teammates take them even if you are using the ping system to spam their notifications, but you can at least take them yourself to use later or right then. 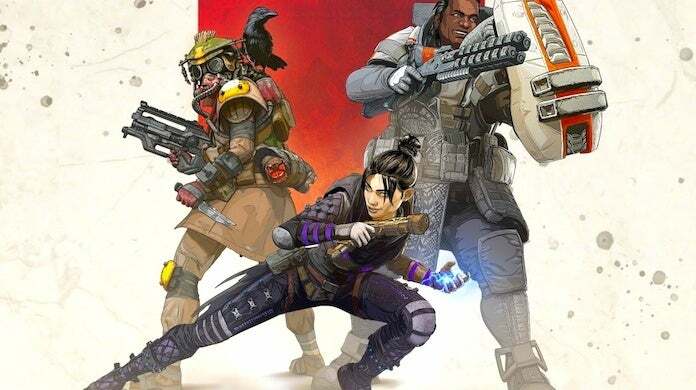 Like other battle royale games, Apex Legends gives players ample space to store items and lets many of the throwables stack on each other without taking up an extra slot. Arc Stars by far seem to be the item players will pass on, perhaps because they’re sometimes difficult to see and perhaps because they’re thought to be weak, but none of these throwable items even have to connect with an opponent to be useful. The mere threat of having an Arc Star or Incendiary Grenade land next to someone will force an enemy out of a hiding spot and also free up an inventory spot for players to use when storing whatever else it is beside equipment they’re picking up. Ultimate Accelerants are also often left behind, these items being the devices w which add a flat 20 percent charge to a Legend’s ultimate ability. Even if your inventory is maxed out, just swap out an item for the Ultimate Accelerant to use it quickly (assuming you’re not in danger right then), pick up your dropped item, and move on to the next spot with your ultimate one step closer to being fully charged. #ApexLegends Fun Fact: All characters move at the same speed. It only feels like some characters move slower because they have a higher camera height and slower arm animations! If you’ve got someone in your squad who finds if funny that they’re running faster than your Gibraltar or Caustic, you can rest easy knowing their jokes hold no water since all Legends move at the same movement speed. Carlos Pineda, a senior game designer at Respawn, cleared up any concerns about different movement speeds among the Legends shortly after the game released. Larger characters like the tanks mentioned above might look like they move slower while others like Wraith seem to move quickly, but it’s all in the animations. Every Legend runs at the same speed regardless of who you’re playing. The only exception to that is Bangalore’s passive which lets the Legend run faster when taking fire from an enemy. Short of playing that character, just holster your weapons if you need to book it to a new location. If your team is insistent on abstaining from voice comms or the pinging system, there’s one feature they can’t avoid: The verbal cues and alerts issued by the Legends. Players naturally get spread out when there’s no constant communication to keep everyone close together, so when a firefight breaks out, pinpointing the source of the commotion can be difficult if you’re not the one being shot at. Thankfully, Respawn added a system where Legends will accompany different situations with quotes to indicate what’s going on. If Bloodhound’s being shot at, you’ll hear the Legend’s unmistakable accent when they say they’re taking fire. If a Gibraltar sees and enemy and either shoots or throws down a mortar strike, a verbal cue will be heard to tell the team what’s happening. There’s also an option in the settings to convert these cues to text chat so that it appears on-screen which will make communication even easier at the cost of some visibility due to the pop-up box. Apex Legends is now available as a free-to-play game, so keep following these tricks and more and you’ll eventually have enough Legend Tokens to unlock a new character or two.